Saoirse Ronan's starring in On Chesil Beach, William Hanson chats about the Royal Wedding and mental health campaigner Jonny Benjamin discusses his book The Stranger on the Bridge. Steve and the team are joined by Hollywood actress Saoirse Ronan, who's starring in On Chesil Beach and etiquette expert William Hanson chats about the wedding of Prince Harry and Meghan Markle. And on the first day of Mental Health Awareness Week, mental health campaigner Jonny Benjamin MBE discusses his book The Stranger on the Bridge about him living with schizoaffective disorder and how he stood on Waterloo Bridge in 2007 about to jump off but was "saved" by a stranger who spoke to him. Plus there's Factoids, Non-Stop Oldies and the latest entertainment and lifestyle news. Ken Bruce and Serious Jockin'! William Hanson: "Remain clothed at all times!" 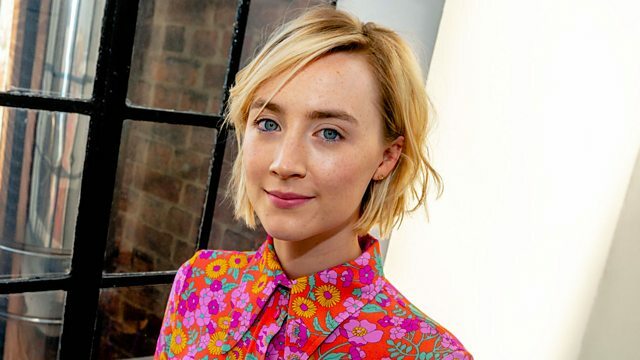 Jonny Benjamin: "I thought I was on the 'Truman Show' and cameras were watching me"
Saoirse Ronan: "You can't steal the pebbles on Chesil Beach!" Simon Bates: The Golden Years -50's P.
Rhythm Of The Sun (Various Artists). The Very Best Of Peter Sarstedt. Fantastic 80's Disc 2 (Various Artis. American Dreams II (Various Artists). Driving Rock Ballads (Various Artists). Friends & Lovers (Various Artists). Paul Young - From Time To Time. Diana Ross & The Supremes - 40 Motown. We delve a little deeper into some of Steve’s most impressive factoids. Find out how to send Steve your selection of Non-Stop Oldies for a future show.